The Journey 2014 is available in 5 different models: AVP, SE, SXT, Limited and R/T, being the AVP the most basic and the R/T the best equipped. It is the most affordable available seven-passenger SUV. Some time ago, when I had the opportunity to test the previous model of the Dodge Journey, I was satisfied, but with the feeling that the automotive technicians didn't do everything possible to give to this family SUV, a leap into modernity, with respect to the interior. Shortly thereafter, Dodge engineers showed that they were willing to do battle and put the Journey, in the place it deserved, and now I am surprised to see how they have completely renovated it. 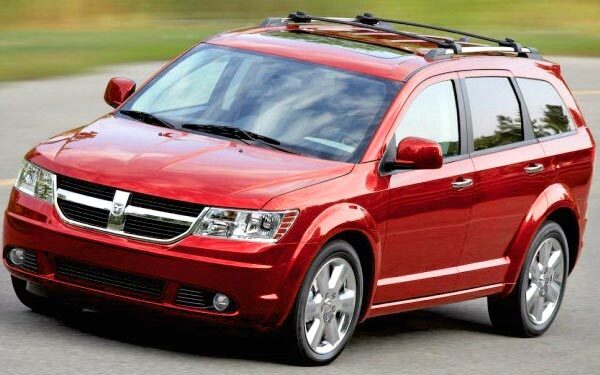 Dodge & Top 10 Cheapest & Best SUVs in the U.S. The market recognized its superiority and opted for the model that retains a Dodge typical aesthetic which makes it to preserve its personality. While I believe that in the future Dodge will have to give it a face lift to the outside, it is worth stopping to talk about other highlights and benefits that this family SUV has to offer. Nothing better for testing this vehicle than making a trip with all the family, because is there where you truly check how functional it is. 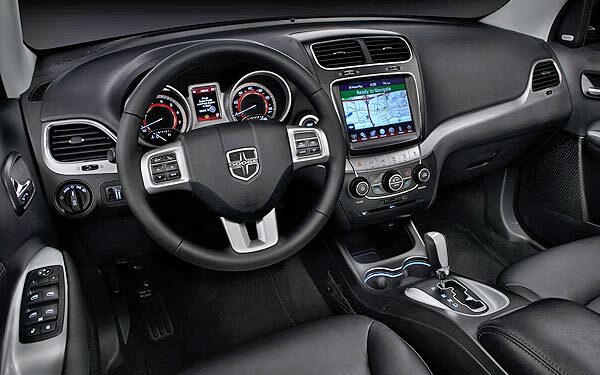 I would almost say that Dodge hasn't left detail without considering, to make interior life more comfortable and simple. Let's start with access. 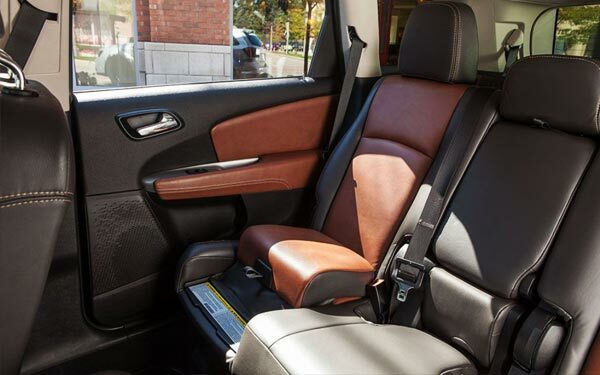 The rear doors of this SUV open wider than normal, almost 90 degrees, making broader and easier the entry into the rear seat for an adult or the placement of a child on his chair. Road trips require comfort, and the Journey offers it in every way. Being inside you will notice that seats are excellent. 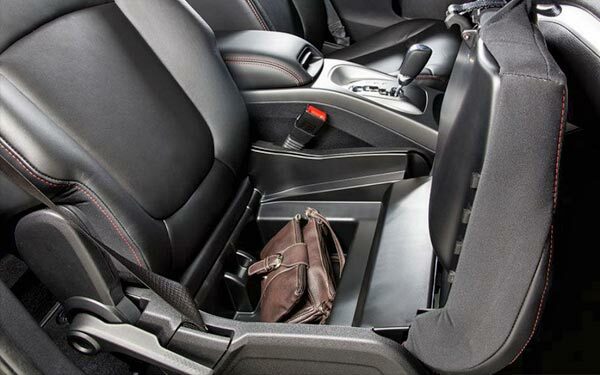 The front passenger seat gives you the option of lifting it and serve as a practical storage box. The floor of rear seats have boxes properly sealed with more space to store toys or whatever is needed. Cataloged by many, as one of the most versatile crossover in its class. 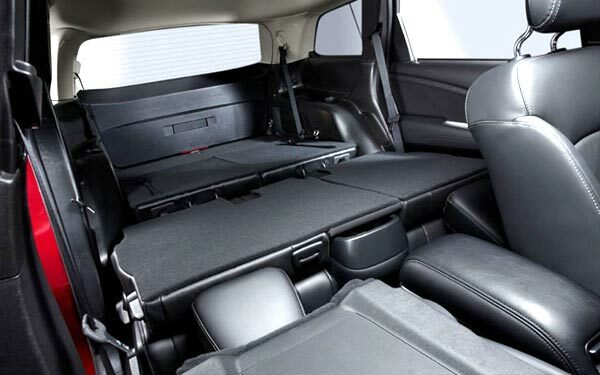 The rear seats have guides to slide forward or backward in order to enlarge or shrink the cargo space. They also lean back halfway to give more comfort to the users, or even get some sleep while traveling. There’s so much storage space in this SUV. Also worth noting that a child can use his built-in bench seat, where you only have to pull a ribbon to make it perfectly safe. On the other hand, do not forget that the Journey has a hidden third row of seats. It is extremely easy to place or remove it, and also lets you deploy it by halves, in case you want to use it for only one person, without losing much cargo space (despite this and even using the seven seats, the trunk space still serves to what is). 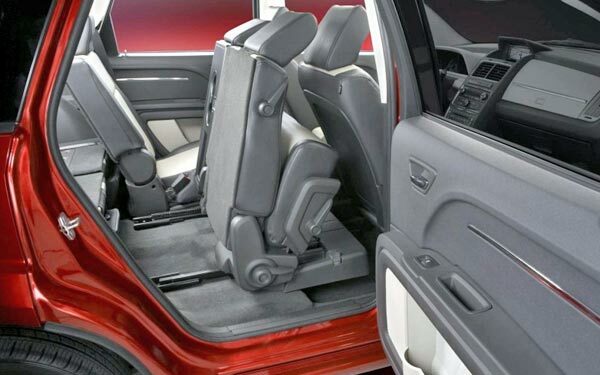 Certainly, this third row seat is not as accessible as it is in the Dodge Caravan of sliding doors, but eventually, it takes the place of a row that can be comfortable for children. What said so far makes the difference. Not only because it is really functional, but because few cars can boast of having all those fancy accessories. On the contrary, at an affordable price, I find that all these elements say clearly that Dodge is doing an effort to make a difference, and also for offering a great distinctive equipment without raising prices through the roof. Other significant points of the Journey SUV can be seen in the high quality of materials and finishes. For example, the board is covered with soft rubber (the kind we always want to see on any car), and the leather used in this version is remarkable. But it can also make a difference the equipment where the large touch screen of 8.4", looks well placed and excels. In short, everything works fine on the Journey, so for my part, I give it a complete approval, even more, if I take into account that the cheapest version of this new SUV starts for less than $20,000 dollars, something that isn't going to be easy to beat for its competitors. From an automotive point of view, you will find an engine that responds pleasantly on two aspects: it has enough power (and a little more too) for average city use. The Limited model, which is the most equipped version, has an engine of 283 horsepower, 110 more than the AVP, which is the cheapest model of the range. 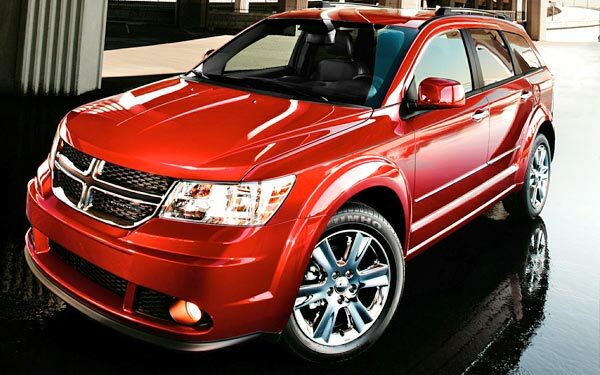 These Dodge also stand out for their smooth ride that make the travel enjoyable for the occupants. The suspension, transmission and steering wheel, make a good team with the engine. The suspension has a mix of softness and stiffness well done, that allows you to move inside seamlessly. In the Limited version it is a little bit tougher than the cheaper versions because of the 19 "wheels and lower profile of its tires, besides having a higher power. For its part, the transmission, is the known 6-speed sequential gearbox that gives good relaxation to the engine, without doing revolutionize excessively, with a very smooth and imperceptible walking pace. Finally, the steering wheel is really docile and facilitates the use of a large volume vehicle like this one (for parking, the rear camera is very useful). Keep in mind that the V6 version is highlighted by a solid performance that isn't sporty, and has as counterpart fuel a consumption that exceeds the four-cylinder version. Consequently the brand alliance with Fiat Group will allow it to have new impellers that consume less gas, while holding a similar or higher power. The result of handling the new Journey 2014 is positive. A fully calculated and comfortable life aboard, where nothing is superfluous and nothing is missing, and it is well worth it for any family who wants to move with true comfort and all the tools available without overspending.